It goes without question that Guinea fowl are one of the most unusual, quirky and wacky birds around and their babies are no different. Guinea fowl babies, also known as keets, are rambunctious, excitable and- if we’re being honest- some of the doughiest creatures around. Caring for young Guinea fowl keets is one of the most rewarding experiences you can have with an animal. So long as you have a sense of humour, a little patience and are well informed, raising Guinea fowl keets will be a breeze. Guinea fowl keets are cute, chirpy, curious and clumsy things that you’ll definitely need to keep an eye on, but the good news is they are so much fun to watch. They scurry about the brooder dazed, confused and excited seemingly without any sense of what they are or where they’re going. This leaves them unfortunately prone to accident, such as dislocated legs, which often results in death if it occurs at an early age. What do I need to know about brooders? A brooder is essentially a safe, temperature controlled space- normally an extra-large plastic container- that your Guinea fowl keets will be able to spend the first two to six weeks of their life. Some people however renovate their chicken tractors, like the Taj Mahal, into temporary brooders, by positioning the tractor on top of a tarp indoors and inserting heat lamps inside the tractor. Coat the floor of your brooder with newspaper or non-toxic hemp bedding. Avoid other beddings, such as sawdust, otherwise you’re Guinea fowl keets will mistake it for feed and end up with some very upset tummies. The brooder needs to be kept at approximate 35 degrees Celsius, otherwise your Guinea fowl keets might get a bit cold. A carefully positioned heat lamp with a thermometer strategically placed at the bottom of the brooder is the simplest way to ensure your keets stay warm during this early period of their life. If you’re Guinea fowl keets are huddled together with their eyes closed or squinted, this is a sure sign that they are feeling cold and you will need to warm the brooder up. One of the fabulous things about Guinea fowl keets is the fact that their droppings are an easy to clean dry and powdery substance. The easiest way to clean the brooder is to relocate the baby keets to a safe place, remove the bedding, wipe down the interior of the brooder with a natural cleaner and reline the inside with fresh bedding. Extra points if you use the droppings as fertiliser for your compost. Guinea fowl keets grow especially quickly over the first two weeks and it might be tempting to let them out of the brooder sooner than it is recommended. Generally speaking Guinea fowl keets should remain inside the brooder for the first six weeks of their lives, but feel free to give them excursions to your living room, bathroom or backyard. So long as you monitor the keets as they begin to explore the world, they should remain safe from any of the dangers ahead of them. What do the baby Guinea fowl keets eat and drink? Adult Guinea fowl are one of the most self-reliant poultry birds around. They are able to graze in your garden all day, eating entire armies of bugs and insect, whilst scavenging all other kinds of treats and goodies. As most Guinea fowl keets won’t be safe to graze in the wild it’s important that you give them plenty of feed while they’re inside the brooder. Simply scatter the feed atop of the newspaper and they will delightedly peck and feed for hours. Of course Guinea fowl keets need to drink water. The important thing to note about this is the fact that you will need to secure a drown-proof waterer, otherwise you might wake up one morning to find a nasty surprise inside your brooder. What to expect if something bad happens to my Guinea fowl keets? One of the sadder realities about Guinea fowl keets is that if they’re exposed to some kind of trauma during the first few weeks, the more anti-social and fiercely independent they will become. For example, if the other keets tease, bully or attack one particular baby Guinea fowl, it is likely that they will become less socialised as an adult. An anti-social Guinea fowl will be more inclined to chase, tease or act aggressively towards other animals and even humans. How are Guinea fowl keets raised in the wild? Guinea fowl have many charms but they are definitely not known for being good parents. Guinea fowl mothers tend to isolate their nest in the wild and savagely protect it from other birds, animals and even humans. 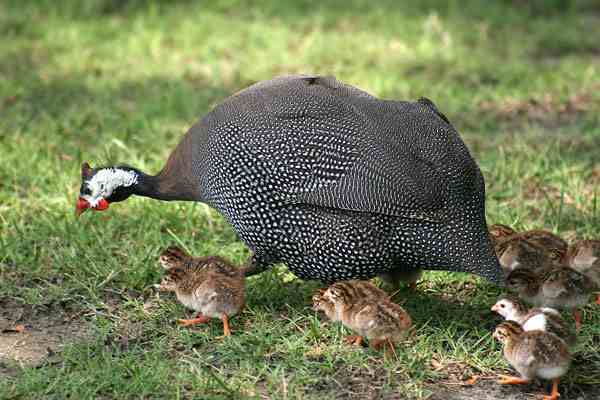 Whilst caring for the eggs Guinea fowl are dedicated and caring parents committed to the cause of their children. However, once the Guinea fowl keets have hatched the mothers tend to lose interest, wander off and quite generally neglect their young baby keets. The unfortunate truth is that often in the wild a mother might hatch upward of twenty keets however perhaps as few as five will make it to adulthood. Some owners take young Guinea fowl keets under their wings when they are a few days old, once the mother has abandoned them. However be cautious before swoop in and take the baby keets, as the mother may get offended and try to keep them for herself. Where can I get Guinea fowl keets from? Most Guinea fowl breeders will also sell the keets, from as little as one day old. It’s in your best interest to get as young a Guinea fowl keet as possible, as they have trouble adjusting the new environment as they get older, which you can read about here. It’s probably best to call the breeder and arrange a suitable time to come and collect the keets, as they are likely to know when the next batch of Guinea will hatch. Sites like Chicken Sales can put you in contact with breeders of Guinea fowl or chickens in your area. Raising Guinea fowl keets is a delightful, grin-inducing experience that will help you appreciate the little things in life. So long as you are understand the basics and are prepared for the touch of silliness the Guinea fowl will bring to your life, it’s bound to be a rewarding experience. Once your Guinea fowl have come of age it’s important that they have a safe and sturdy coop to rest in at the end of a fun day eating bugs, like the Taj Mahal, Penthouse and Mansion. Be sure you find out more about how you can keep Guinea fowl with chickens, especially if you’re planning on getting a big and comfortable coop. Rabbit for school/ university practicals. Don't Hesitate To Call: 09027378379 For Delivery. Eating quail eggs on a regular basis has a great benefit especially at improving eyesight and protecting eyes from damage. This benefit of quail eggs is mainly because of the presence of antioxidants like “Vitamin A” in them. Vitamin A is a vital nutrient for our eyes and plays an important role in keeping them healthy. effective in treating cough and asthma. Many ancient civilizations have used quail egg yolk to treat psoriasis and eczema. The beneficial qualities of quail eggs have seen them feature as a commercial product, with the latest being quail egg extract capsules . Anybody that has a low potassium count, runs the risk of contracting conditions like high blood pressure, arthritis, heart disease, stroke, cancer and digestive disorders among others. So, eat quail eggs to keep those potassium levels up. If quail eggs don’t sound too appetizing, consider eating quail egg extract capsules. Quail eggs are iron-rich. As u know Iron is an essential mineral, so it does not only boosts immunity, it also helps oxygenate your organs, tissues and other essential parts of the body. Iron also stimulates RBC formation, which boosts your blood health. Quail eggs contain potassium, which is beneficial for the blood. Consuming quail eggs on a regular and moderate basis have been found to be very beneficial for the overall development of our body. This benefit of quail eggs is mainly because of the abundance of protein in them. Protein is a vital compound required for the growth and development of our body. Protein also plays a great role in the growth and the repair of the cells, worn out tissues, bones, muscles, blood vessels etc. Quail egg is good for the development of bones. When we talk about bone,the first thing that comes to our mind is “Calcium”. Eating quail eggs on a regular basis have been found by researchers to be very beneficial for the development of bones, and for making them stronger, because of the presence of amino acid like “Lysine” in them. It plays an important and special role in the development of child bone. In addition to this, other nutrients like iron, zinc, potassium etc. also plays a significant role in the development of our bones. Quail eggs also reduces the risk of osteoporosis by making our bones stronger, which is a condition caused by the weakening of bones. Quail eggs are good for hair growth. Antioxidants present in the quail eggs protects hair and scalp from the oxidative damage that is caused by the free radicals and thereby reduces risk of premature graying of hair.The nutrients present in quail eggs straighten the hair, while making it shinier. Include quail eggs in your diet if you a strong and shiny hair. The nutrients in it also relaxes blood vessels of the scalp, improves blood circulation and thus promotes hair growth. Quail eggs can be the perfect replacement for those that are allergic to Chicken eggs. Chicken egg can cause some reactions to those allergic to it, like excessive scratching, vomiting, stomach pain, and nausea. 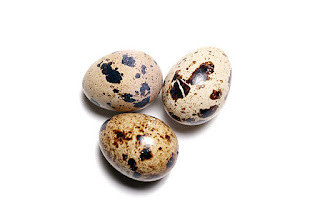 Quail eggs don’t cause allergies and have lesser allergens than chicken eggs. This anti-allergic benefit of quail eggs is due to the presence of ovomucoid protein in them. 1. Quail birds are small in size when compared to other poultry birds and they require low floor space for firming. 2. Raising quails for commercial purpose is fun and easy and also needs low maintenance. It is not at all labor-intensive. 3. They are hardy birds and diseases are not frequent in quails. 4. Quail farming demands low start-up investment but produce massive income. 5. Feed consumption of quails is also low in comparison with chickens. 6. They will become ready to sell preferably at 5 weeks of age. 7. They will get early sexual maturity and within 7 weeks of age they start lying eggs. A quail continues to lay one egg per day. 8. Quail eggs and meat both have high nutritional values and are delicious too. Meat has low-fat content thus suited to high blood pressure patients. 9. They generally produce approx 300 eggs in the first year of age which is considered as very high growth rate of laying eggs. Basically quails are raised commercially for the two reasons which is selling quail eggs and meat. Quail farming has the potential to generate huge profit within a short period. In order to increase income and being successful in quail farming business, it is necessary to begin with some basic training in the filed like their characteristics and how to properly breed them. This will also help you feed and care for these birds better, which will result in a higher quality end product. NOTE: Quails are birds like others and have feathers, so they can fly and due to the reason can't left to roam free in the environment as much as they can be domesticated. Therefore it is important that they are confined to a space. 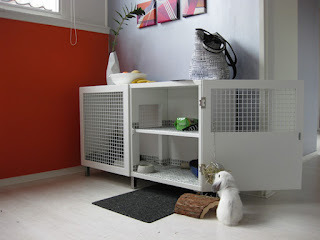 You can choose either deep litter system or cage system. This could be in your own backyard if you plan is to start-out at small scale. Be sure the location you choose have an adequate amount of space to accommodate the birds. Then if you are planning on a medium or larger-scale farming business, you will have to consider leasing premises with an adequate amount of space. Actually cage system is the most appropriate for keeping quails as they are easy to manage and there is a small chance of breaking out diseases. Before you purchase livestock, you will need to determine what breed of quails you will be specializing in. Some beginners choose to focus on a specific breed, while others prefer multiple breeds. If your main focus will be on the eggs i will advised to opt for the Tuxedo, English white, British or Manchurian golden breeds of quail, For businesses that will focus more on the meat of quails, it is recommended to opt for a breed such as the white breasted Indian or bob white American. After deciding which breed you will be focusing on (or multiple breeds you will be focusing on), you should gather information about suppliers. You should buy a couple of quails to start out – this will be the initial livestock and will increase in number as they start breeding. Quails are known to feed on chicken feeds amongst other things like grains, seeds, etc You will also need to buy the feed material that are made of small particles of broken wheat, kipper fish, rice bran, sesame cake, broken oyster shell etc. Feed management is very important for quail farming; a well-balanced wholesome feed guarantees healthy and highly productive quail birds resulting in high ROI. The cost of feeding quails is usually low due to the fact that they do not consume as much food as several other poultry birds. These birds can be fed with the same feed used for turkeys and chicken, but in lower amounts. An adult quail of 6 months old daily consumes 30-35 grams of food. The final step is to market and promote your quail farming business. This is an important step and will help you gain your first few clients. You will be able to promote both eggs and meat to customers, but can also choose to target just one of these. The breed of quail you are specializing in will also affect whether you specialize in eggs or meat. Promoting your business can be done in several ways. You can start a website for your business, but should only consider this when your business is starting to grow. During the first few months, you should focus on promoting in your local area. This will provide you with more funds that can be used to expand your business. Start by printing out business cards and keeping them with you at all times. This is very convenient when you find someone who is interested in your business. You can also publish an advertisement in your local newspaper. Posters and flyers can also provide an effective method of marketing your business.